The Wakefield District turned out in force for the annual St. George’s Day Parade and service last Sunday. There was a good turnout from all sections with an attendance of over 600 members of the Scout Association plus the family and friends who found that it was “standing room only” in the Cathedral. During the service special awards were made to several members of the District. David Pontin received his 50 years’ service award; Nigel Le Page, District Chairman, received his 40 years’ service award and District Commissioner, Mal Ayers, received the Silver Acorn for his years of distinguished service to Scouting. Our congratulations and thanks go to the award recipients and to the many Leaders of the District for their continued service to Scouting in Wakefield.  Thank you to all members of Crofton Scout Group who turned out to support their group for this important annual event.